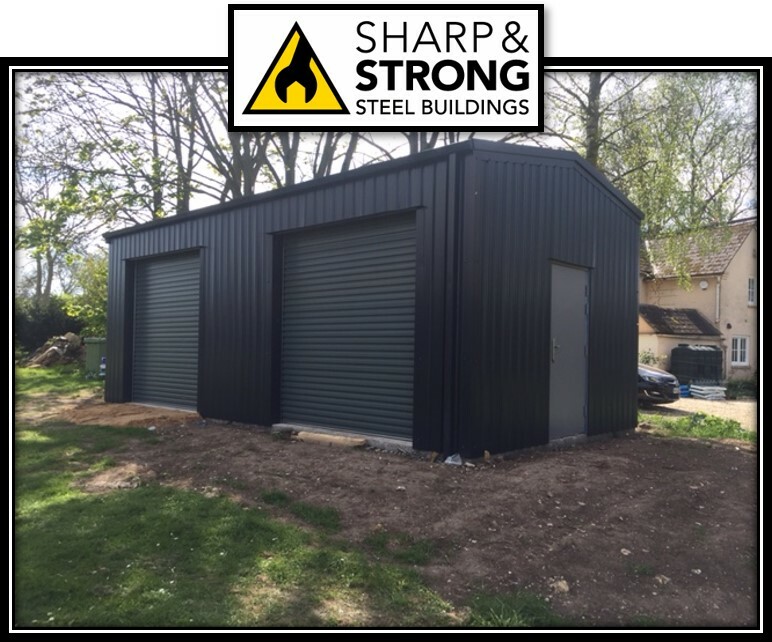 Insulated Storage Steel Building recently erected in Colchester for an existing Client . Because our Client had already purchased a building from us, and was very happy with the service received he decided to came back to us this year for his second building. 20 meters long and 8 metres wide and 4 meters to the eaves. 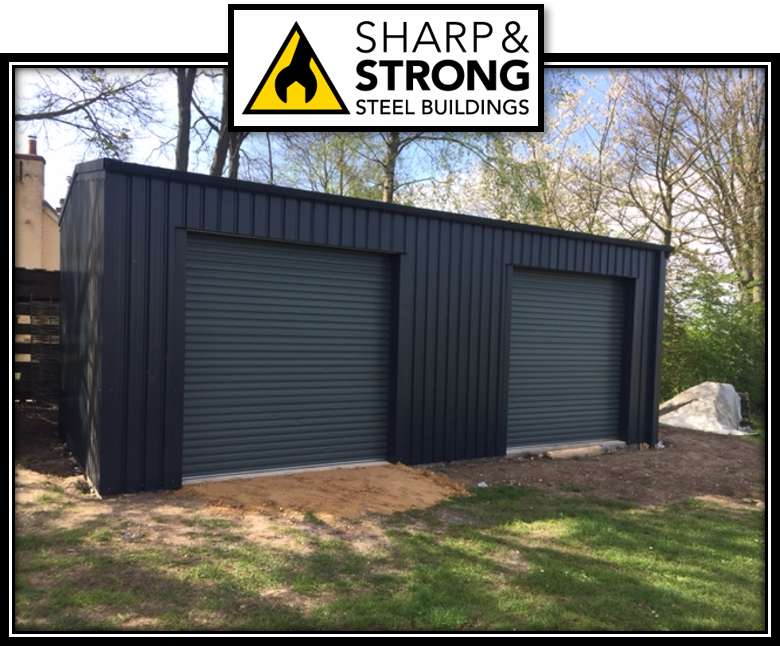 40mm composite insulated cladding panels in black were used for the walls. 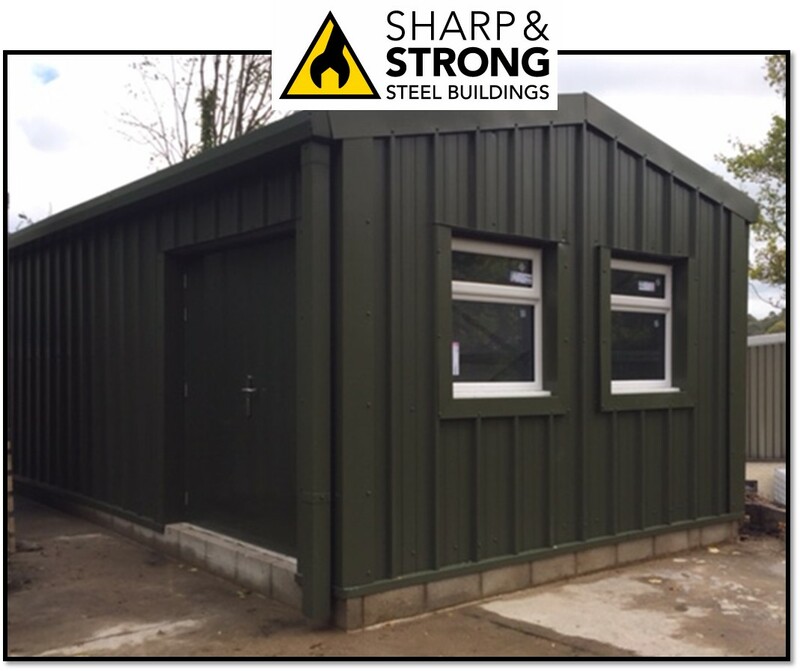 Also, 40mm composite roof paneling in Anthracite as well as the gutters and down pipes. Finally roof lights were also included to provide lots of natural light into the building. 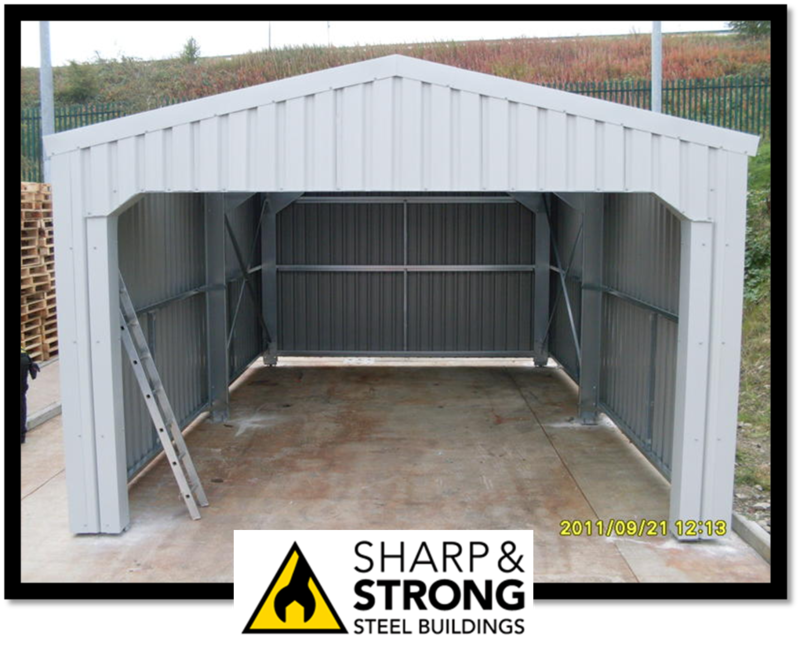 Insulated storage buildings supplied by Sharp and Strong are secure and robust. 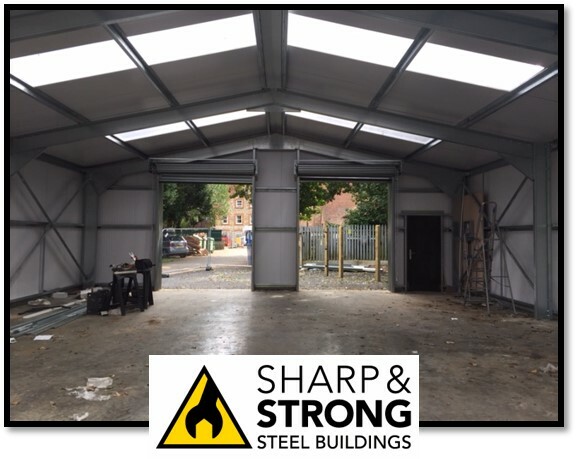 This is especially relevant if you wish accommodate a mezzanine floor to further enhance your future storage needs. 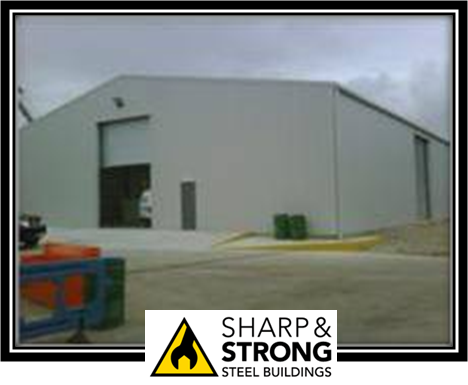 Kingspan cladding carries the relative fire test accreditation and certification, which many suppliers don’t have. Therefore, composite is a good choice, as it prevents condensation, is secure and has a 60 minute burn time. Should there be any fire walls conditions, in terms of proximity to other buildings, your boundary, roads or footpaths. 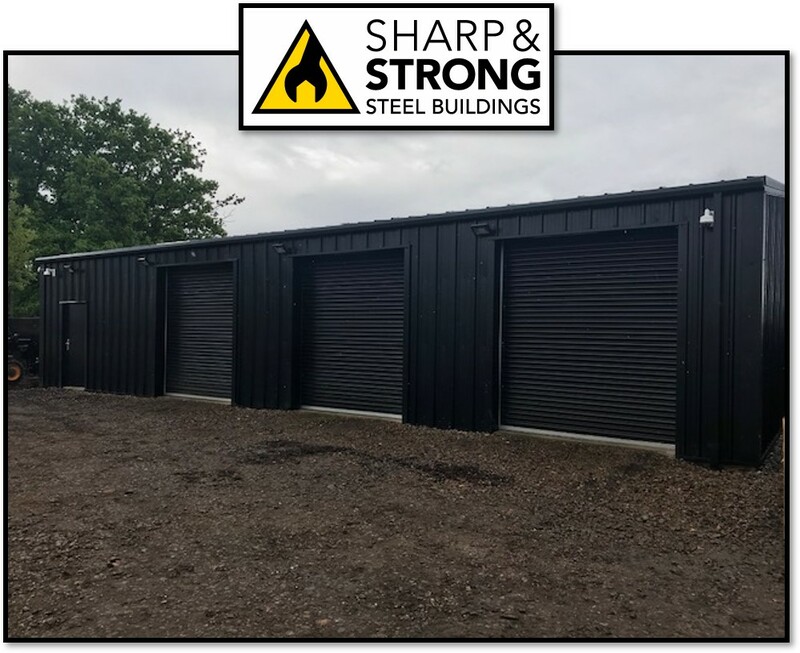 A steel building provides you with an extremely cost effective solution to your storage problems as the cold rolled steel means that you get the maximum amount of space inside the unit you need. 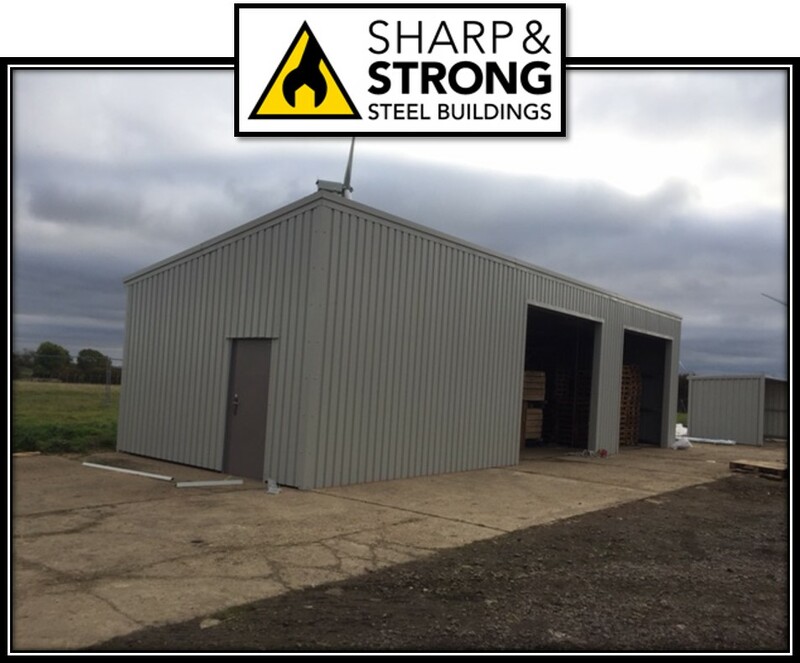 Steel is structurally sound and manufactured to strict specifications and tolerances. Any excess material is 100% recyclable. Also steel is easy to install. Is cost effective and rarely fluctuates in price. Consequently it allows for improved quality of construction and as a result less maintenance. 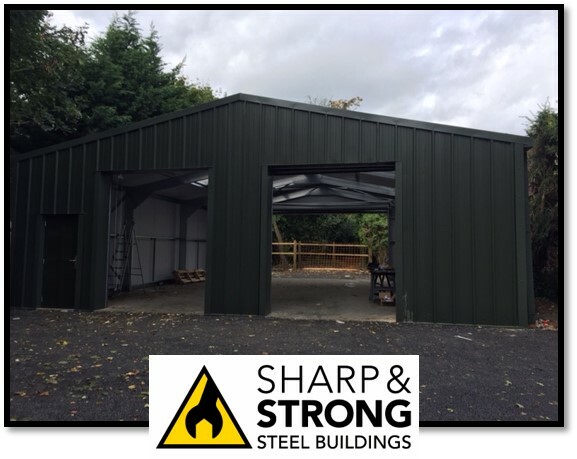 In conclusion would you like a similar steel building, if so, contact us now for a FREE quote.